Murder by Gaslight: The Mystery of Zora Burns. But Zora was not happy with her situation; she was earning $1.50 per week and wanted more. When she threatened to leave over the low wages, Carpenter bought her an expensive pair of shoes and agreed to pay her an extra dollar a week provided she did not tell his wife about the gift or the raise. This placated Zora for a while, but she returned to her father’s house after working less than a year for the Carpenters. There was another reason Zora went back home, she was engaged to be married at the end of October. Her older sister was married to a man named Bill Dukes in Wayne, Illinois, and on a visit Zora met his brother Bill. The two began a courtship and very soon decided to wed. The ceremony was to be on October 30, 1883. Zora returned to Lincoln on Friday, October 12, telling her father that she was going to get $20.00 that Orrin Carpenter owed her. On Monday morning her body was found on the road outside of Lincoln, her head bruised and her throat cut from ear to ear. There was no apparent motive for the murder. The story received national press coverage and the crime was compared to the unsolved murder of Rose Ambler. The first man suspected was Bill Dukes. Although he has promised to marry Zora Burns, it turned out that he was also engaged to marry Elizabeth Freal of Kewanna, Illinois. When he was questioned, the officer could see that he had injured his right hand and would not say how. Police in Wayne kept him under surveillance, although he had a convincing alibi and could not have been in Lincoln the weekend of the murder. The post mortem examination of Zora’s body was held in the utmost secrecy as was the coroner’s inquest into the murder. Attempting to break the “awful secrecy of the star chamber inquest,” reporters interviewed witnesses after their testimony. The first witness, O. A. Carpenter, would give them no information on advice of his attorneys. Other witnesses, however, spoke freely and reporters soon learned the reason for the secrecy—Zora Burns had been several month pregnant at the time of murder. Rebecca Carpenter (no relation to Orrin Carpenter) testified that she had seen letters from Orrin Carpenter to Zora, proving that they had been intimate. Zora’s father also had letters from Carpenter to Zora, some of which, he said, had contained money. Mrs. Dengler, at whose house, on the outskirts of Lincoln, Zora had stayed after leaving the Carpenters, testified that Zora told her she was pregnant and that Orrin Carpenter was the cause. He had given her money and presents, and told Zora that he loved her more than his wife. Carpenter was known to have seen Zora at his office the night of Saturday, October 13, and was believed to have been the last person to see her alive. His buggy was examined; blood stains were found on the seats, and in the cushion were hairpins of the type used by Zora Burns. On the strength of this evidence, Orrin Carpenter was arrested on suspicion of murder. Contradictory evidence began arriving from outside of Lincoln. Two young men sold some rings to a jeweler in Cambridge City, Indiana. After they left, the jeweler noticed the name Zora Burns on one of the rings. Police in Hampton, Iowa, had a man in custody who confessed that he had been hired to kill Zora Burns. Nothing more came from either of these clues, but they took the spotlight off of Carpenter and supplied the jury with reasonable doubt. The coroner’s jury found that Zora Burns was murdered by a person or persons unknown. Carpenter was released on $10,000 bail, pending a grand jury investigation. The people of Lincoln were not happy with this finding. It was known that some of the men on the jury were business associates and fellow lodge members of Carpenter. Many believed that Carpenter had hired detectives to manufacture evidence. Fear of lynching was so strong that the State Militia was put on alert, but there was no violence at Carpenter’s release. In January 1884, a grand jury indicted Orrin Carpenter for the murder of Zora Burns and he was taken into custody again. But when he was tried for the murder that March, the jury was not convinced by the circumstantial evidence against Carpenter and their verdict was not guilty. "Citizens of Logan County – All lovers of law and order in Logan county are respectfully invited to meet in mass meeting, Wednesday the 28, inst., at the court house in Lincoln for the purpose of expressing their views on the subject of crime, and upon the recent trial of Orrin A. Carpenter. All persons who are in favor of the enforcement of the law and prompt punishment of criminals are invited to attend." It was signed: "Many Citizens." The meeting was held and some four thousand citizens solemnly agreed to banish Orrin A. Carpenter from Logan County. A notice was served on Carpenter in person by a committee of seventy-five people. Carpenter protested his innocence and refused to recognize the group’s authority. But any thoughts of remaining in town left him in December when Zora’s father, William Burns, opened fire on him. The gunshots missed Carpenter, but they persuaded him to accept the reality of the situation and he moved his family from Illinois to Dakota Territory. Carpenter’s defense had been costly, and it was reported that his once ample fortune had shrunk to a quarter section of farming land. "Carpenter Acquitted." Daily Critic 22 Mar 1884. "Carpenter Arrested." Kalamazoo Gazette 21 Oct 1883. "Dora Burns' Murder." National Police Gazette 17 Nov 1883. "He has been Captured." Rockford Weekly Gazette 31 Oct 1883. "Making it Hot for Carpenter." Wheeling Register 26 Mar 1884. "Murdered on the Highway." Boston Herald 17 Oct 1883. "Mystery on Mystery." New York Herald 9 Dec 1883. "On Trial for His Life." Kalamazoo Gazette 13 Mar 1884. "Once More In Prison." Kalamazoo Gazette 27 Jan 1884. "Ostracism in Illinois." New York Herald 24 May 1884. "Seeking To Avenge Zora Burns." New York Tribune 3 Dec 1884. "Telegraphic News." Jackson Citizen Patriot 16 Oct 1883. "The Detectives Unable to Unravel the Myster of Zora Burns' Fate." Saginaw News 20 Oct 1883. "The Lincoln Tragedy." Daily Gazette 20 Oct 1883. "The News." Juneau County Argus 19 Dec 1884. "The Zora Burns Murder ." Cincinnati Commercial Tribune 3 Nov 1883. "The Zora Burns Verdict." Truth 2 Nov 1883. "Tightening its Grip." Daily Gazette 23 Oct 1883. "Unravelingthe Zura Burns Mystery." Elkhart Daily Review 22 Oct 1883. "Waiting With Dread." Kalamazoo Gazette 20 Oct 1883. "Who Killed "Zora?" 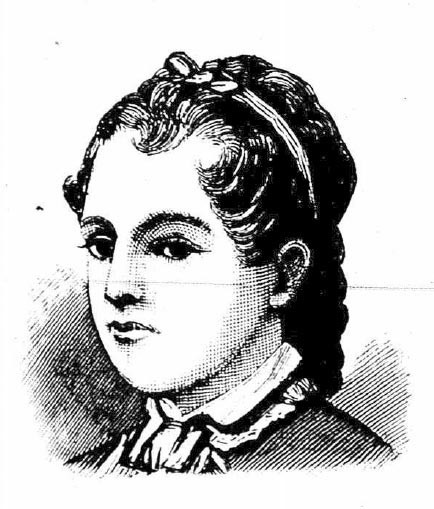 The Mysterious Murder Of A Beautiful Illinois Girl.." Truth 29 Oct 1883. "Zora Burns' Murder No Blood on Carpenter's Whip." Cincinnati Commercial Tribune 31 Oct 1883.